Sliced almonds atop a flaky, buttery pastry. Then glazed for a sweet and delightful finish. 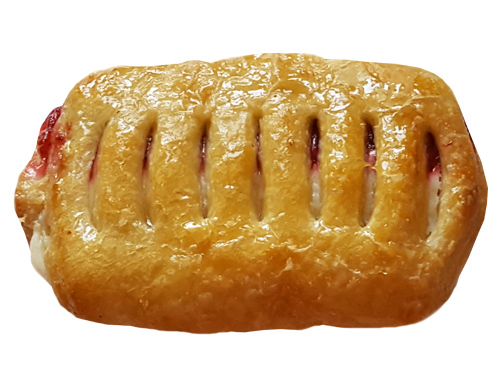 This flaky pastry may be used for sandwiches, or you may eat it as is. Rich chocolate in a flaky, buttery pastry. You can't beat that! Who doesn't like strawberry and cream cheese? These ingredients are packed inside a light, buttery croissant for your eating enjoyment.